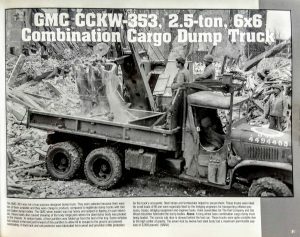 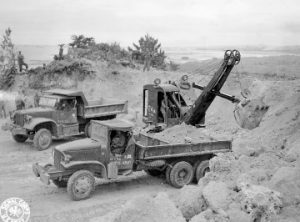 • WWII/Korea • Die-cast • Battle Weathered • US Army GMC 6X6 CCKW 353 2.5 Ton Cargo-Dump Trucks • Trucks have Open Cab with 50 Cal. M.G. 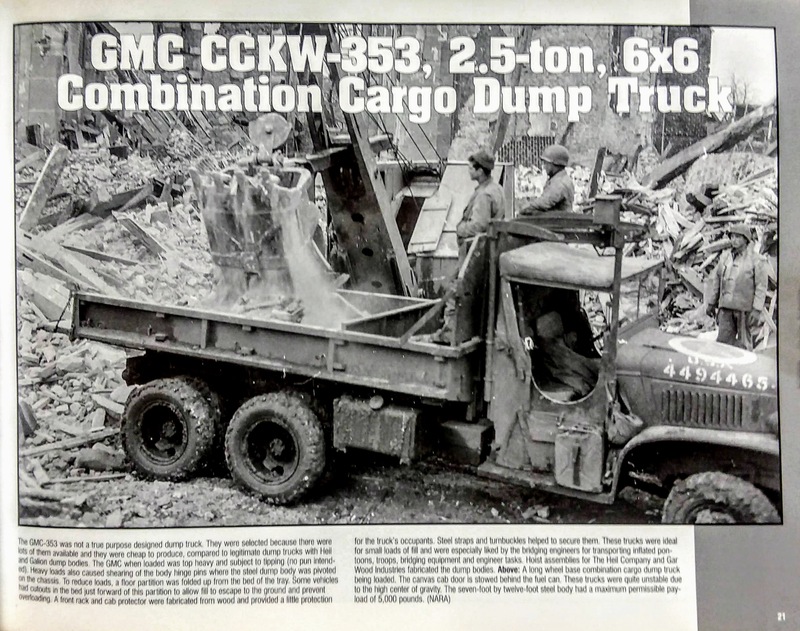 Ring Mounted on Gun Ring over Cab • Partitions in Cargo Bed to limit overload • Cab Protector •Scratch-built Cargo Crate with Netting Bundle & Accessories between Trucks • 50′ Flat Car w/Wood Plank Deck, Weathered and Distressed and Die-cast Sprung Trucks • Tow Rope feature on the trucks front bumpers • Trucks being shipped back to base after field maneuvers.